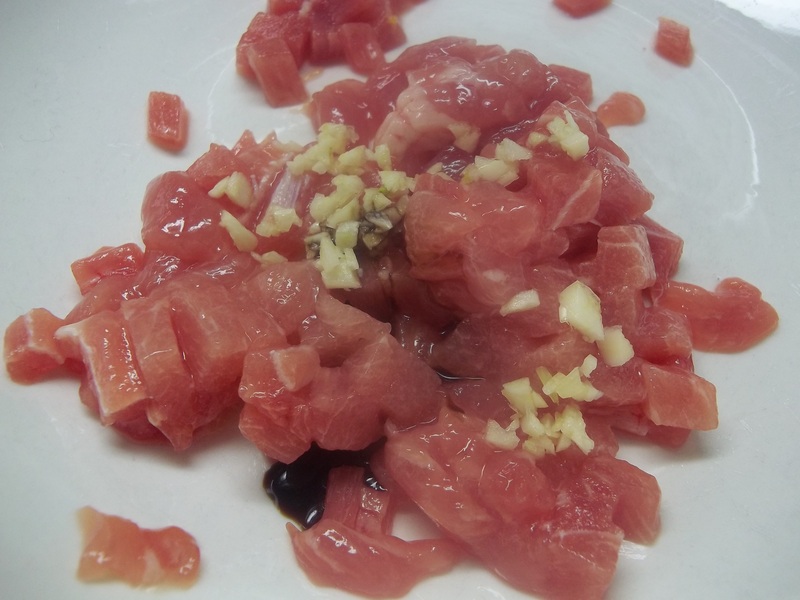 Combine pork, soy sauce, oyster sauce, garlic, 1 tsp. green onions. Bring chicken stock to a boil. 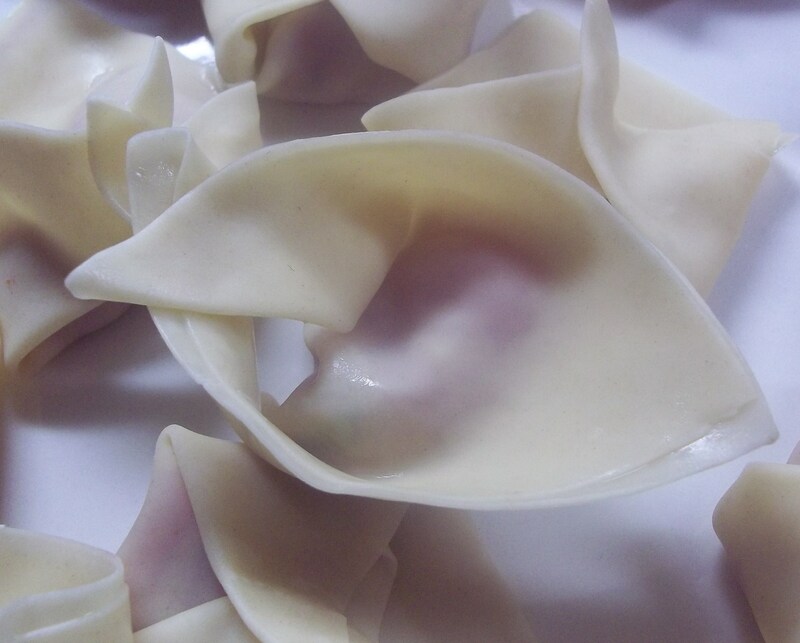 Lay out wonton wrappers. Drop 1/2 tsp. pork mixture in the center of each. Moisten a corner and two edges of the dough with water. 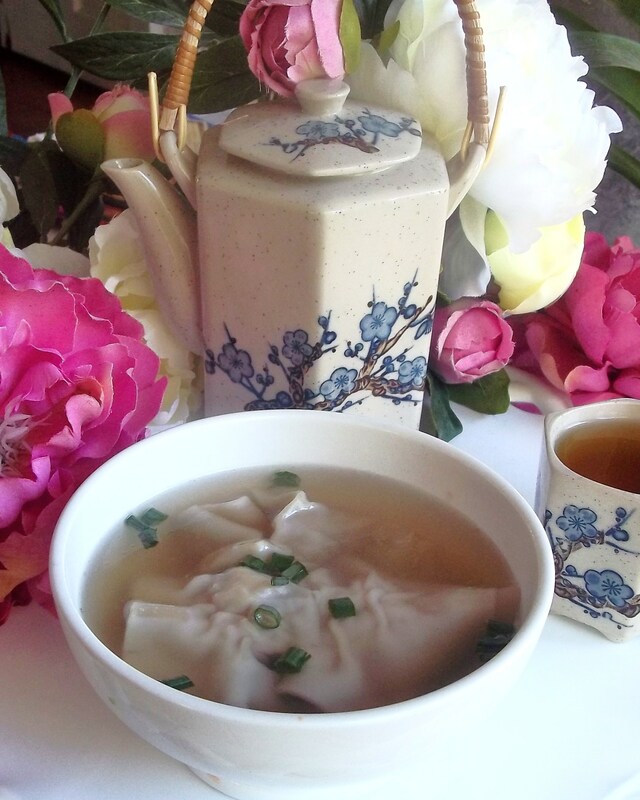 Fold wonton over filling from point to point to form a triangle. Seal by pressing with the pads of your fingers. 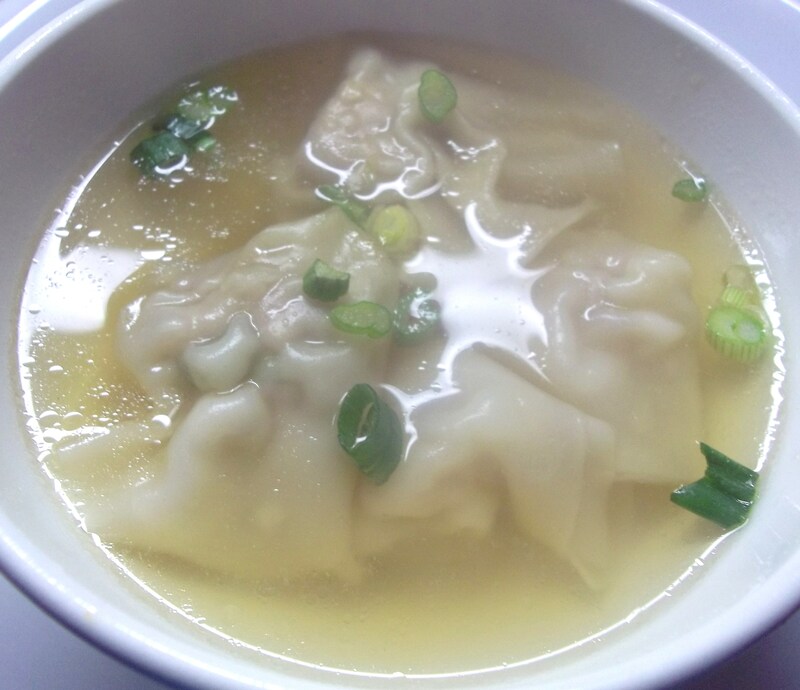 Bring two points up, moisten with water and overlap to seal, forming the finished wonton. 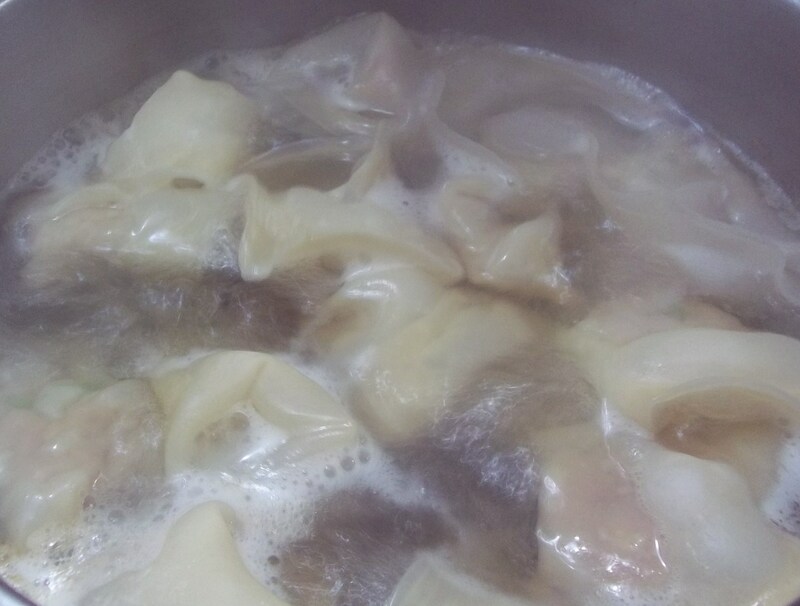 When all the wontons are made, drop them into the boiling stock. Return to boil and reduce heat to a simmer. Simmer 10 to 15 minutes to be certain pork is cooked thoroughly, but keep liquid simmering lightly to prevent wontons from rupturing. Add remaining green onions and lemon juice. Salt to taste.